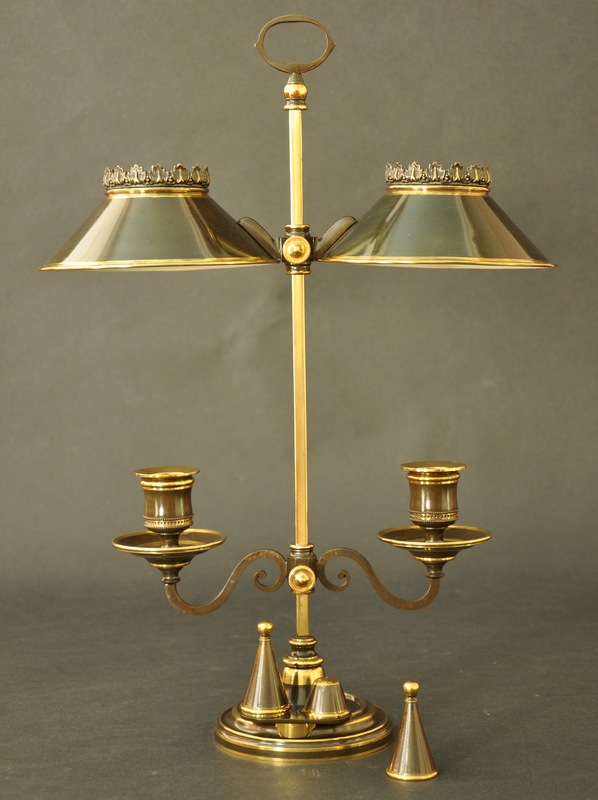 Presented in a beautiful patinated and gilt-lacquered finish, this rare two-light candle-powered student lamp still retains both of its original candlesnuffers. The iron rod supporting the adjustable shades and candle cups is sheathed in thin brass. The metal shades are accented with delicate stamped brass collars and are painted on their interiors with an off-white paint to reflect the light. 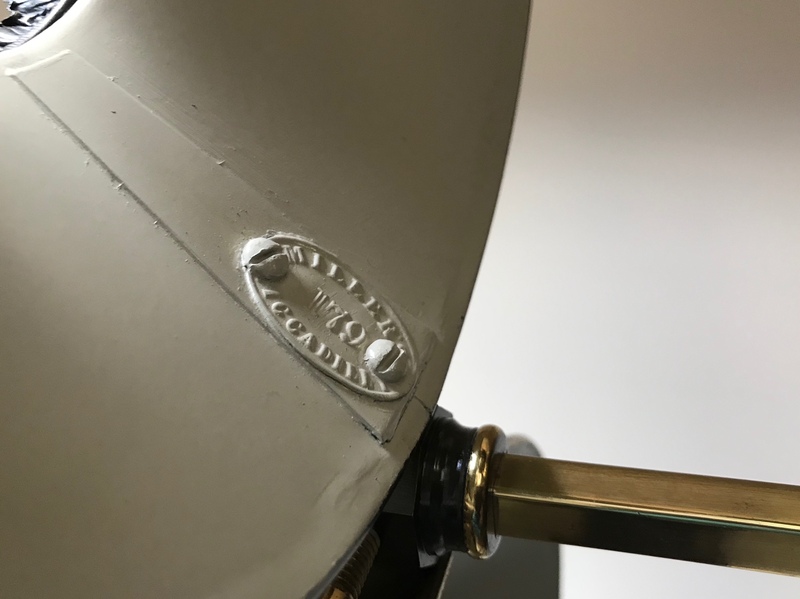 A brass tag is attached to the inside of one of the shades and is stamped with the maker’s mark: MILLER & SONS / 179 PICCADILLY.